Lolong is the world's largest crocodile ever caught alive in Bunawan, Agusan del Sur, Philippines. Unfortunately, lolong died without knowing the cause of his death. Crocodile expert are still trying to find out what killed Lolong. The 2,370 pounds and measuring 20.4 feet 'Lolong'got more famous after being officially declared as the World Largest Saltwater Crocodile in Guinness Book of World Records. Lolong was declared dead past 8:00 p.m. on Sunday, February 10, 2013. Local authorities estimated Lolong age to be about 50 years old. According to Bunawan Mayor Edwin Elorde, "Lolong had not been eating these past few months." But according to the Mayor he will keep Lolong preserved in order to save the memories of the time when the world's largest crocodile was alive. 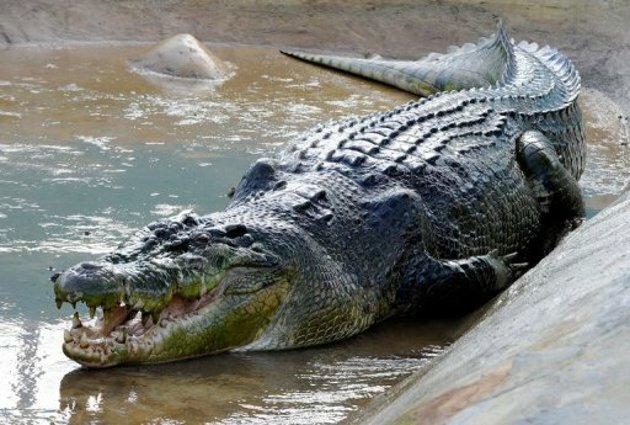 Comments or suggestions about "World's Largest Crocodile 'Lolong' Died in Philippines" is important to us, you may share it by using the comment box below.